While the Huawei P30 and P30 Pro were entitled to a large show in Paris earlier this week, the Huawei P30 Lite was discreetly made official by the Chinese manufacturer. The equipment appeared on the website of Huawei Canada, where we can see all the specifications of the equipment and its design, however still we do not know when the equipment will reach the Portuguese market. As has been the custom for several years, Huawei still offers a Lite version that is financially more affordable but also technically less powerful than its major smartphones. The Huawei P30 is no exception and Huawei Canada has made this version official on its website. The device follows the general design of the Huawei P30 and the Huawei P30 Pro, with a notch in the form of a drop of water. The P30 Lite offers a 6.1-inch LCD screen with Full HD resolution (2312 x 1080 pixels) and therefore does not include AMOLED. Its datasheet is also more modest, with a Kirin 710 processor (not Kirin 980 like the P30 and P30 Pro), 6 GB of RAM and 128 GB of internal memory. As expected, the fingerprint sensor under the screen is not part of the package either (we found a classic scanner in the back of the device), but there is a triple camera (24MP + wide 8MP + 2MP wide angle for depth), while in the fontal area we have a 32MP sensor. It has a 3340 mAh battery, MicroSD up to 256GB, Bluetooth 5.0, USB-C and EMUI 9.0, based on Android 9 Foot. At the moment, the phone only seems to be in pre-order in Canada until April 10, the date of its release. 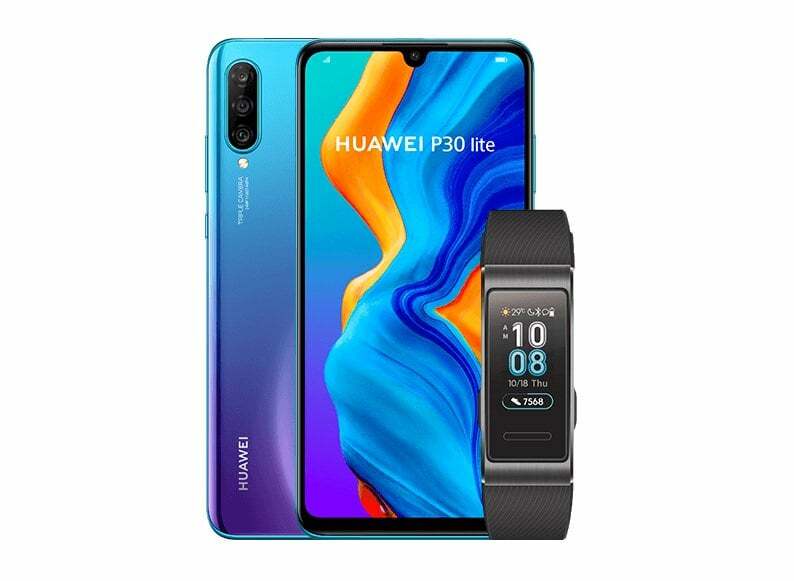 We also have to point out that in Canada Huawei is pre-ordering the equipment with a special offer, the Huawei Band 3 Pro which, although not the same as the P30 and P30 Pro, is still a interesting offer. The equipment is priced at $ 429 Canadian, plus or minus $ 287. However, in Europe there is still no information on this new equipment, but should not take too long to reach our market. However, the TecMundo indicates that Huawei has already confirmed that the equipment will arrive in May in Brazil, which is excellent news for Brazilians. Stellar and EOS may force Ethereum out of the market. iPhone 5G to launch in 2020?